I recently visited the picturesque city of Salzburg in Austria on an exceptional road trip from Germany to Austria. 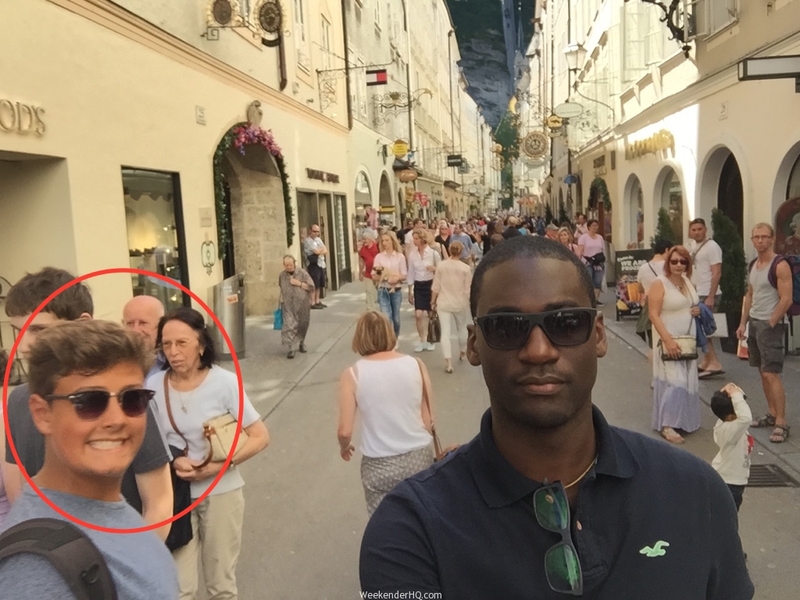 While Salzburg is famous for being the birthplace of renowned composer Mozart and setting for the musical play and film The Sound of Music, my most memorable experience of this beautiful city would have to be the photobombers we met! Photobombing is basically the act of inserting yourself into someone else’s photos unexpectedly. Almost every time we stood to take a picture with the selfie stick or camera someone wanted to be in it! Jump in an do something! Style 2: Just walk into the picture and smile! Cheers to the photobombers we met! You guys made our short time in Austria awesome!